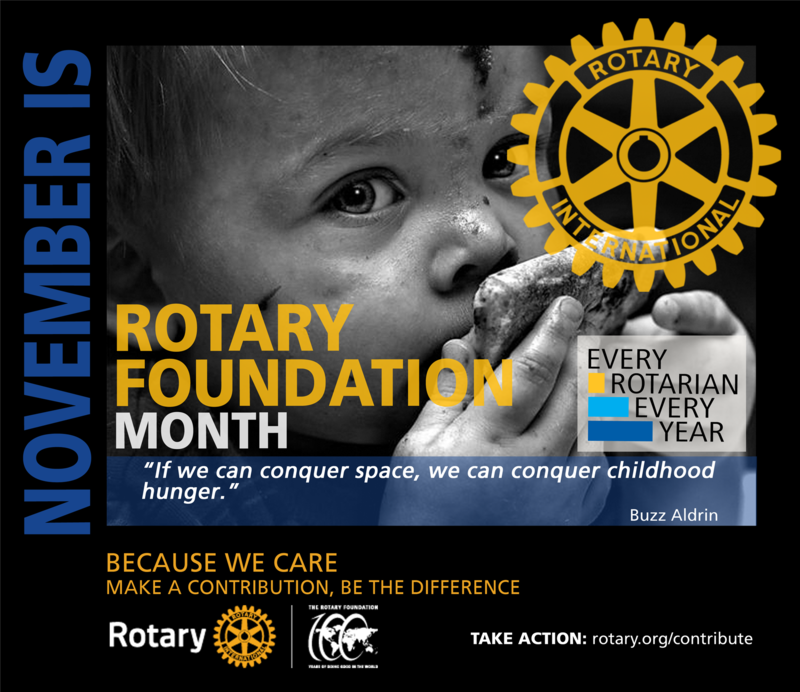 November is Foundation month on the Rotary calendar. In light of this, here are some facts about Rotary Foundation from your Foundation Director, Maris Russell. Did you know? The Rotary Foundation is most often referred to as TRF. The Rotary Foundation Mission is, “To enable Rotarians to advance world understanding, goodwill, and peace through the improvement of health, the support of education, and the alleviation of poverty.” When we contribute, we pool our resources allowing us to fund initiatives with other Rotary partners throughout the world – initiatives that are sustainable, transparent, and accountable, initiatives that make a difference in one of six Areas of Focus identified by Rotary International. Our club is almost all new to understanding what TRF is – but we are all here to GIVE. You are recognized as a Rotary Foundation Sustaining Member when you give $100 USD or more per year to the Annual Fund. And, you are recognized as a Paul Harris Fellow when you give $1,000 USD or more to the Annual Fund, PolioPlus, or an approved Foundation grant. You can support Rotary efforts year-round by making a recurring donation. You choose how much and how often you want to give — it’s a simple and secure way to make a big impact. Online contributions can be made monthly, quarterly, or annually. Log into My Rotary (click DONATE) and make your contributions automatic via Rotary Direct, which allows you to choose the amount and frequency that are right for you. On My Rotary, you can view your Donor History Report, which includes your personal contribution history and recognition summary. You can email your Foundation Director Maris Russell for further direction and clarification.